He makes fun of altar boys folding their hands. . . He won't kneel in front of the Blessed Sacrament. . . It suggests either severe anger management issues or a kind of out-of-control narcissism that manifests itself in borderline sociopathic behavior. 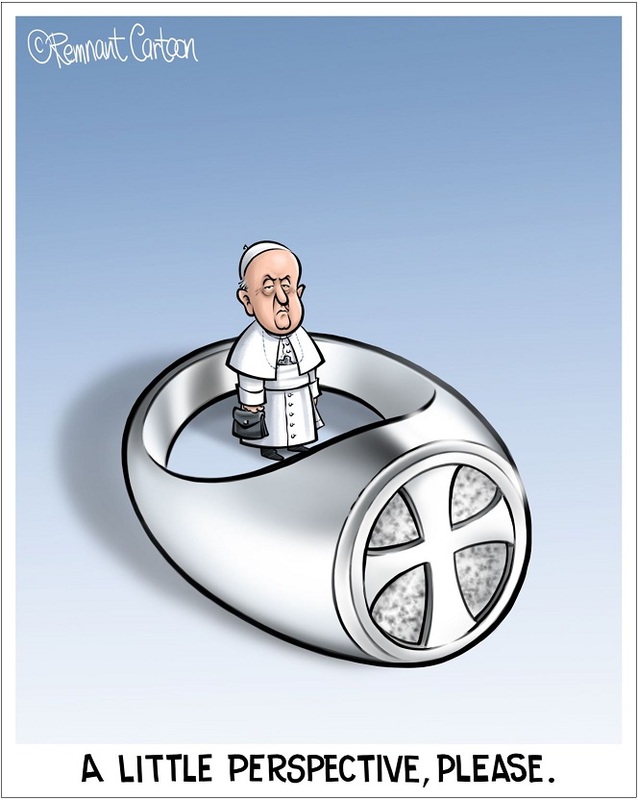 And at the very least, it indicates a loathing for the office of the papacy such as the Church has never before witnessed in an occupant of the Chair of St. Peter. It's as if it actually infuriates him when the faithful fail to duly appreciate the systematic degradation of the papacy on which he's been working since he first appeared on the loggia and asked us to bless him. God help us, what is wrong with this man?